Roulette is one of those table games that at first glance looks very complicated. After all, there’s a table in front of you to place your bets on and it’s full of numbers. Not to mention the additional options of colour betting, odds and evens and more. However, once you get into the swing of things with this game, it’s really quite entertaining and exciting. In fact, the game of roulette has been around for a considerably long time now. It comes as no surprise to learn that it’s one of the most popular offerings in both land-based and online casinos. The word, ‘roulette’ is actually a translation from French, meaning ‘little wheel’. That being the case, it should come as no surprise that the game was created by a Frenchman. His name was Blaise Pascal, and his occupation? Physicist, inventor and mathematician. However, the invention of roulette came about as a sort of random discovery though. Pascal was actually trying to invent a perpetual motion machine. This would be a machine that continues to operate without taking energy from an external source. The laws of physics deem it to be impossible, but Pascal tried to change this. While this experiment didn’t work out, the invention of roulette came from its failure. If you’ve seen the common roulette wheel, you’ll know that it features a green zero on it, although this wasn’t introduced to it until the mid-19th century. It was in the year of 1842 that Francois and Lois Blance designed a roulette wheel with the single zero. This was made especially for King Charles III of Monaco and is still found on modern day wheels today. Charles’ kingdom of Monaco was facing financial ruin and it was with the introduction of a casino with this roulette wheel which turned things around. Of course, there are even wheels with double zeros on them today. And what’s more, online roulette is also a popular offering alongside the physical form. The idea behind playing roulette is quite simple. Your goal is to try and predict which number the ball that is thrown into the wheel will land on. However, before this, you will need to make your bets. This is where the table with all the betting options comes into play. Upon it, you’ll find all of the numbers on the wheel as well as some alternate wagering choices. There are actually a variety of betting options available to you. If you choose to, you can select to bet on a single number or a selection of single numbers. Alternatively, you can place a bet on a group of numbers, based on their proximity on the layout. These are known as inside bets. The alternative is betting on the ‘outside’. This allows you to select bets on larger positional groupings of numbers, on a specific colour or whether the winning number is odd or even. Payouts for each of the different bets are determined by probability. Therefore, if you place a single bet on a specific number and it’s a winner, the payout will be much larger than if you opt to bet on a specific colour. Once all bets have been made, the croupier will throw the ball into the spinning roulette wheel. It will come to land in one of the various number pockets, and this will be the winning number. All even numbers are coloured black, while odd ones are red. The zero comes in green. Therefore, the winning colour is also determined this way. Payouts are then given to all winning players, while losing bets are taken by the casino. Play can then move on to the next round. The two main types of roulette which can be found online are American and European. And while the base game rules generally follow the same design, there are some subtle differences too. The key difference in the roulette wheels is that the American version offers the double zero option. This increases the house edge quite considerably, whilst worsening the player’s probability of winning. The European version – also sometimes known as French Roulette – only incorporates the single zero. This does often see the European version of the game favoured considerably over the American one. And, of course, the latter of these is usually only held in high regards with the USA. In order to decrease the difficulty of playing roulette, beginners might want to utilise some form of strategy. And there are multiple different strategies available to pick up on, so it’s really about finding the one that works the best for you. However, let’s take a look at four of the more known and used options. This particular strategy follows a very basic ideology and it has been around since 18th century France. Originally, it came to prominence in coin flipping games, seeing players win their stake if a coin comes up heads and lose it if the coin shows tails. Gamblers would double their bet after every loss, with the first win he receives afterwards recovering all previous losses. This strategy has found itself applied to roulette as well, with the probability of hitting on red or black being close to 50%. Of course, nobody possesses infinite wealth, so the system isn’t guaranteed to work due to this. Bet size will rise quite exponentially and when you combine this with the fact that strings of consecutive losses do actually occur more often than not, a gamer can find themselves bankrupt before long. However, there is still a chance that utilising this method could work. And furthermore, it’s one of the simplest systems to use when playing roulette. The Fibonacci system is actually a safer form of roulette strategy to undertake. It takes on a simple mathematical theory where you begin with one and add the two previous numbers together. This provides you with the next number in the sequence. If you’ve ever heard of the Fibonacci Scale, this will be quite familiar to you. Of course, you don’t have to start at number 1 if you don’t want to. Just as long as you add the previous two numbers together to give you the next one. This then translates to what you should bet when playing roulette. So, you begin with betting one and you work your way through the Fibonacci sequence until you gain a win. It is an even chance betting system and is able to be used on red/black, odd/even, as well as 18/19-36. Of course, this type of mathematics does not add up to provide you with a win every time. This much should be obvious (and should be a common rule for all forms of gambling). After you successfully earn a win, you need to move back two numbers in the sequence and begin again from there. Continue repeating this process until you’re back at the start of the progression. This betting strategy sees you being given the chance to win quite large amounts without having to place high wagers. The Paroli system is basically the Martingale system in reverse. Players simply double their bet after they win, rather than after a loss. This ensures that a less risky strategy is undertaken and it’s an ideal method to use for beginners. Simply put, with this one, if you lose, you place the exact same bet once more. If you win, you leave your starting bet plus your win on the table. This is the first progression. If you win again, repeat the procedure. Continual wins will see your balance increase speedily. Of course, you need to decide upon how many progressions to go through, because a loss will inevitably come at some point. Again, this is a great system to use if you’re a beginner to playing roulette. While you do increase your bets after every loss – much like the Martingale option – it’s done at a much lower rate. Like the Fibonacci system, it’s an even chance betting system. The maths and theory behind it don’t make it suitable for inside bets or the dozen/column options. Simply put, with this system you pick a starting bet. Then, you increase your wager by one after each loss, whilst decreasing it after any win. This suggests that once you have as many wins as you do losses, you’ll be in profit by the amount of bets you have already placed. Of course, the potential winnings from using the D’Alembert method are quite low. But this is only to be expected when it’s a lower risk system. To put it simply, roulette is one of the more intriguing table games to be found in casinos. Many people do shy away from it, due to the mass of numbers and betting options. However, with a betting strategy in place, gamers are able to make the most out of playing such. And once you become more aware of how roulette works, you’re almost bound to having a thrilling time. 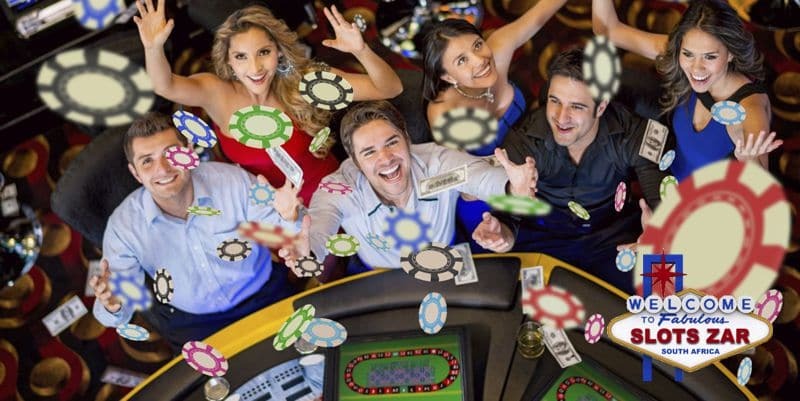 Finding a strategy that works best for you is the key behind an entertaining roulette session. And, in the end, players can find themselves on the receiving end of vast winnings.